Anyone who is a Godzilla fan and was waiting in excitement in 1998 for a vision of their favorite man-in-a-rubber-suit monster in CGI glory probably left the theatre, like myself, cursing. The film was so bad that it is not even recognized by Toho, Godzilla´s original production company, as a genuine Godzilla film. They expressed their ultimate disdain by renaming the monster, Zilla, and letting Godzilla kill him in 2004´s Godzilla Final Wars. Although Godzilla 2000 restored my faith in Godzilla´s almighty power, there was still this bad taste left in my mouth by the absolute lack of respect that the Americans showed for the great god lizard. So when we flash forward to when I first heard rumors of another mainly American made Godzilla film, I was in a state of excitement mixed with trepidation. Me being a fan, though, I let the trepidation wear off and was first in line to see if justice had been restored to the American version of the kaiju legend. I am happy to report that, without a doubt, director Gareth Edwards and company went beyond my exceptions and created a movie that hearkened back to the original classic in its greatness. The movie begins, and spends a considerable amount of time, in Japan. This was a smart choice which not only worked to immediately separate itself from the 1998 trash by setting a completely different more serious mood and atmosphere, it also did a lot to appease this purist fans that is used to seeing Japanese faces in horror mode. 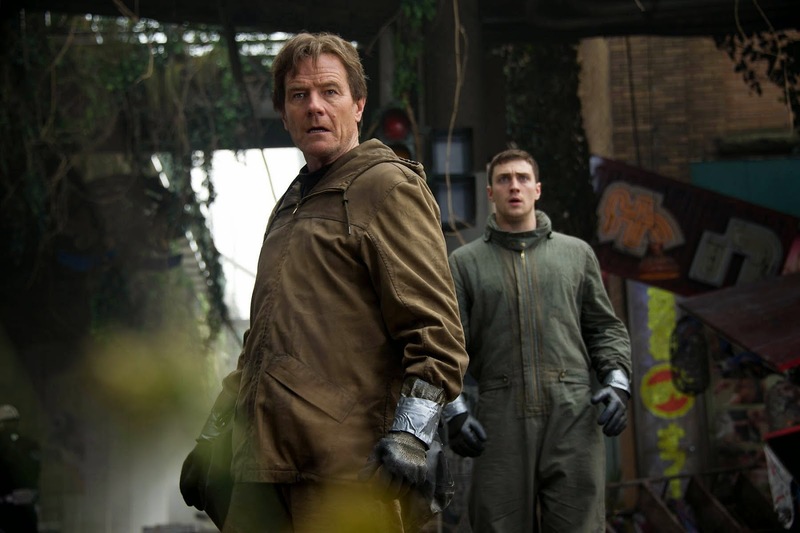 Bryan Cranston stars as Joe Brody, a man who is obsessed with finding out the real cause behind a disaster at a nuclear power plant where he worked; a disaster that also took a great toll on his personal life. He eventually makes his way back to the site of the old ruined plant to prove that the accident was not caused by any natural phenomenon. He was right, but of course, by the time everyone figures this out it´s much too late. A large creature that had been feeding off of the nuclear power and that looks like a mix between a mosquito, a pterodactyl, and whatever the creative department thought looked freaky, is born. After struggling to release itself it immediately sets out flying, destroying everything in its path. 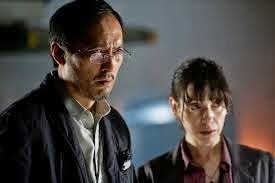 Ken Watanebe plays Dr. Ichiro Serizawa and Sally Hawkins plays Vivienne Graham. They are a set of researches who have been looking for information about the elusive Godzilla. This had led them to the plant where they had been monitoring the creature for some time before they knew exactly what it was. 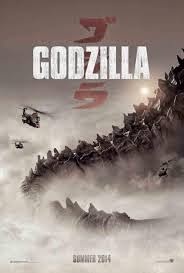 After it hatches they believe that the only hope for stopping this monster threat is awaiting for nature to balance itself out – in this case, hoping that Godzilla will appear once more to protect his dominance as king of all monsters. Needless to say, he does. He chases the creature, which is being called a M.U.T.O. 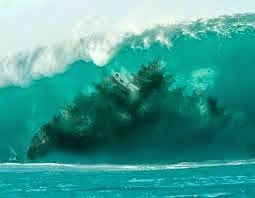 (Massive Unidentified Terrestrial Organism), straight into the Pacific as it heads to Hawaii and eventually States side. Along the way the MUTO feeds off of anything containing nuclear power and disables electric grids with its electromagnetic pulse shock waves. There are a few “monster” surprises that await before the final meeting between Godzilla and his new foe on the shores of San Francisco and they all deliver a punch but I don´t want to give anything away. What caught me the most off guard about Godzilla 2014 is that it knew how to work it´s magic by having less Godzilla in it. I didn´t think that an American made version would be capable of it. This is the formula which makes the original film such a must see classic and what carries a lot of the earlier films before the full out campy phase of the series. It´s clear that Godzilla is a massive character, but not very multidimensional. What makes any of his films work is the human story behind the conflict. 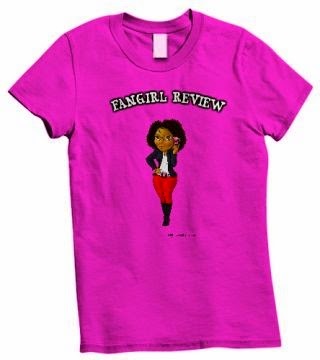 It´s how much we care about the point of views of the people experiencing his rampage. I admit that I have at times fooled myself into thinking I wanted more Godzilla on screen, but almost invariably, the films where he appears the most are usually the worst. The key is having just enough of him to keep the audience begging for more. Edwards works in this, the shadows are scarier than the actual creature, style. My only criticism is that he goes a bit overboard. Godzilla had already been triumphantly revealed in Japan but then goes on to spend a good deal of screen time, towards the middle of the film, half submersed, swimming after the MUTO. I love movies that don´t show us the monster sometimes until the last quarter of the film. But once they appear, it can feel counter productive to keep them out of full view again – unless there is a good amount of suspense building up for the next appearance. In this case there isn´t. Godzilla movies have always been straight ahead action flicks that work when they are big and ballsy and not trying to be a suspense thriller like Jaws or Alien. In early films of the series, Godzilla would appear then disappear until the end while the humans prepared a plan of attack. That formula worked better because Godzilla is the type of creature we really don´t want to see half of. Either give us all or nothing at all. This is a minor gripe though, which may only make one ask, “Hey, isn´t this a Godzilla movie? Why do I only keep seeing his backside in the water?” The consolation is that the humans are interesting enough to hold their own and the payoff to Godzilla´s full reveal is well worth the wait. He explodes on screen in full force and prepared for battle. The cinematography and effects are dazzling as they expose the sheer grandness of the creature. The CGI Godzilla design is respectful to the original costumes. At first I thought his head was too small but I got over it as I paid attention to the other small touches which allow him to appear more nimble and ferocious. It´s pleasing to see a revision of an old classic by people who obviously love the source material. 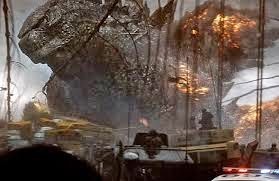 Edwards was keen on keeping small details about Godzilla´s fighting style in the movie. Things like biting the neck, kicking rubble, and tail smacks were included in the choreography – not to mention a very gratifying atomic breath scene made for a legend. These gestures will make almost any Godzilla fan smile. As I mentioned, the humans in the film hold their own while the monsters are away, but it´s not to say that their interplay is anything amazing: it´s a good functional that is not as lame as some characters have been in the 29 movie canon but also not anything super spectacular. These are people which are just interesting enough to carry the film and keep the action moving forward. The main protagonist is Ford Brody, played by Aaron Taylor-Johnson. He is an army Lieutenant and son of Joe Brody. He had been in Japan with his father when the MUTO set itself loose. While on his way back to San Francisco, via Hawaii, to be with his wife and son, he has a confrontation with both the MUTO and Godzilla. His only choice becomes to help the army fight the threat which is making its way to the continental American shores. Ford is a straight forward character that I rooted for only because he was such a nice guy. He doesn´t have as many dimensions to him as his father but his desire to save the day at any costs doesn´t come off as unrealistically as John McClane in the last Die Hard movie, for he is army trained, nor as boringly predictable as Spider-Man in his last outing, who didn´t have much of a struggle to beat any of the two foes even if it did cost him something personal. He´s simply a guy in the right place at the right time, ready and willing to help his country. Yet, as straight forward as Joe Bordy may be as a character, I thought that he allowed for glimpses of what could be great character development stories for future installations in the series. Even Dr. Ichiro Serizawa made a great turn as a researcher who clearly believed in the power of Godzilla to set things in place. I do hope they bring him back if there is a sequel. One of the nicest quieter moments of the film is when he shows his father´s watch that had stopped at 8:15, the moment that Hiroshima was bombed in WWII, to an Admiral that was ready to nuke the two creatures to death. My heart stopped. He didn´t want the army to use those deadly weapons to stop the creatures and his pain felt real. Edwards didn´t explore this further but he could have, as the original Godzilla´s real horror are the scars left after Japan was atomically bombed in WWII. Edwards may not have dug into the layers of the characters but what he did manage to do is keep things moving for the most part. He also manages to keep things as realistic as possible. There were real tragedies. People died. Plans did not go as scripted. Edwards vision was crisp and clear. 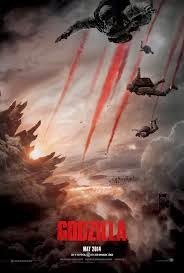 Godzilla and MUTO became the backdrop for horror and not a horrible backdrop for silly characters who always manage to escape the falling debris from some tumbling skyscraper. This movies does run just over 2 hours, which may make the little ones squirm in their seats a bit. A good fifteen to twenty minutes of the movie could have easily been left on the cutting room floor to leave more room for monster destruction. 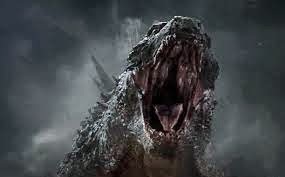 Yet, throughout the film, I felt an investment by everyone in trying to create something wonderful – almost like a love letter to their own childhood and to the fans of the series – which made the Godzilla-less lull in the middle of the film a forgivable sin. As a whole, Godzilla 2014 is the vision of a CGI American version of the monster that I had been waiting 16 years to see. It looked forward while respecting its past and made me thirsty for more. I hope rubber suit Godzilla continues his reign of terror in Japan, but I am no longer worried about American special effects intervention when it comes to giving us a different vision of what the great god monster can do and be on the big screen.